Portraits of friends and family are very personal. I like to capture the essence of their personality and often simple selfie shots are enough to give me that. The more informal, the better. And often, fun shots look brilliant. 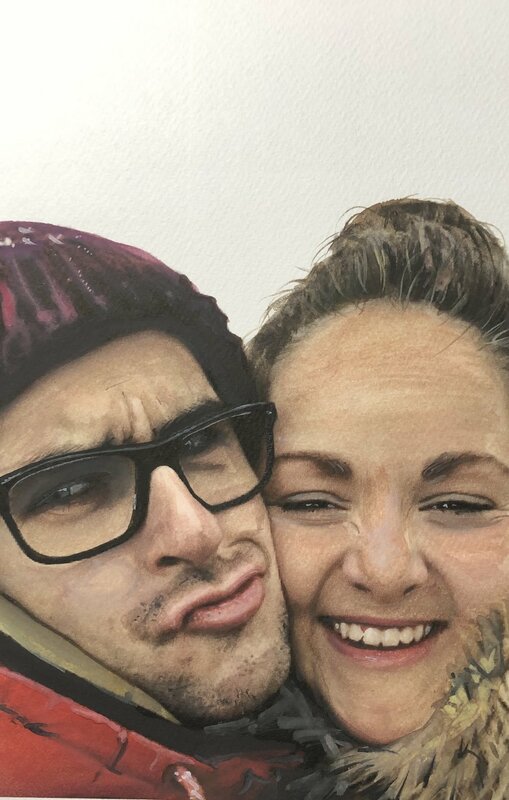 It's important to understand that whilst I hope my portraits will capture a likeness, I can never recreate the exact appearance of the photo. This is not possible with watercolours.